I’m choosing to sell these because they are truly exquisite, deeply supportive and made with such love and care, you can really sense the integrity that has gone into making them. There are two designs to choose from: red flowers or pink blossom, the silk cover is removable, so you can hand wash it if need be, with soft black silk on the underside that feels gorgeous on your skin. Inside the silk cover is an inner bag containing flax seeds which feel light across your eyes, yet mould around the contours of your face so it sits snug and blocks any light out as you rest. This makes it useful for headaches, migraines and for helping to get to sleep if you’re disturbed by light. In cooler seasons I recommend warming the eye pillow on top of a radiator or ideally in a towel warmer if you have such a thing. It is very supportive for restlessness, sleeplessness, anxiety and stress. For symptoms such as aching joints, period pains and back ache you can place the eye pillow on the appropriate body parts. 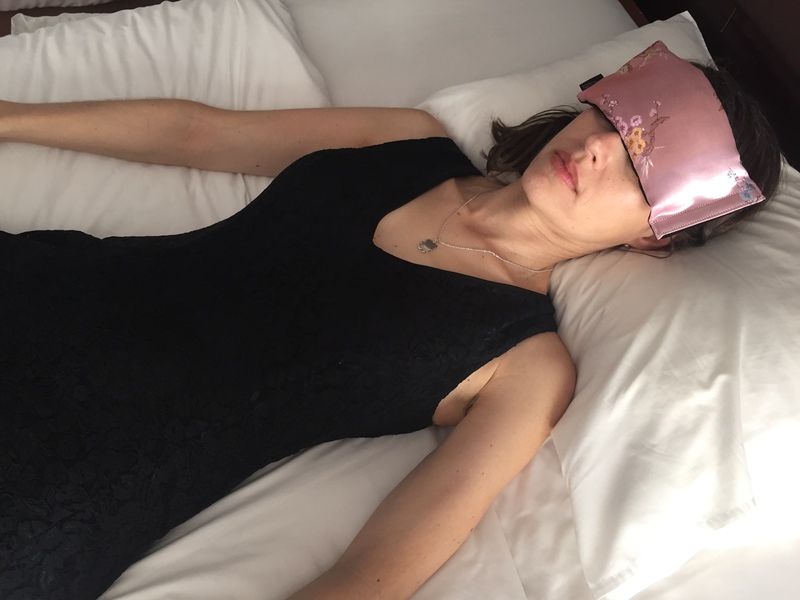 I like to place one over my eyes each night as I go to sleep, or if I feel stress, tension or tired, I lay with one across my eyes and one on my heart for 5-10 minutes to refresh myself. These pillows are also a great accessory for therapists to use in various modalities such as massage. < Previous How to use Essential Oils from Trees to Support our Respiratory System and in Skin Care. Next > How to Take Care of your Clothes with Essential Oils.